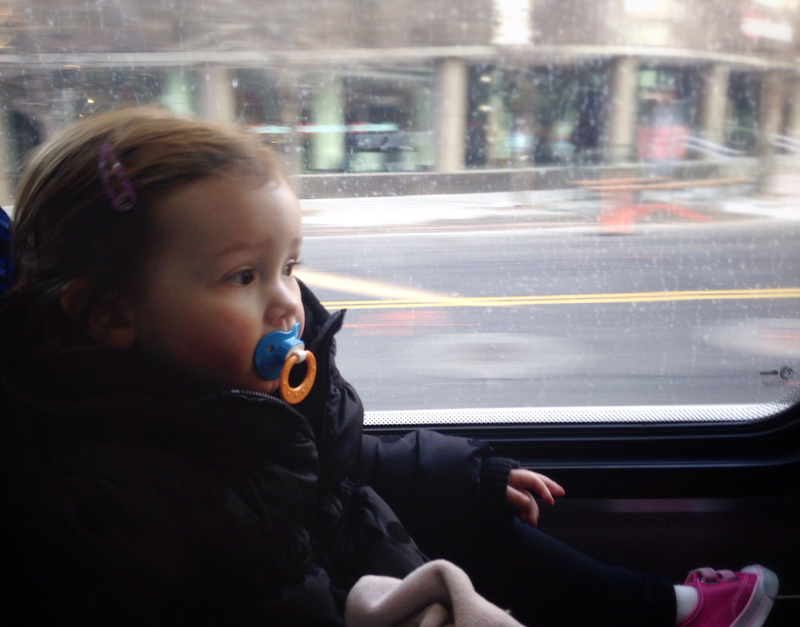 Alice & I took the no-driving recommendation to heart and took the bus to our play date yesterday. 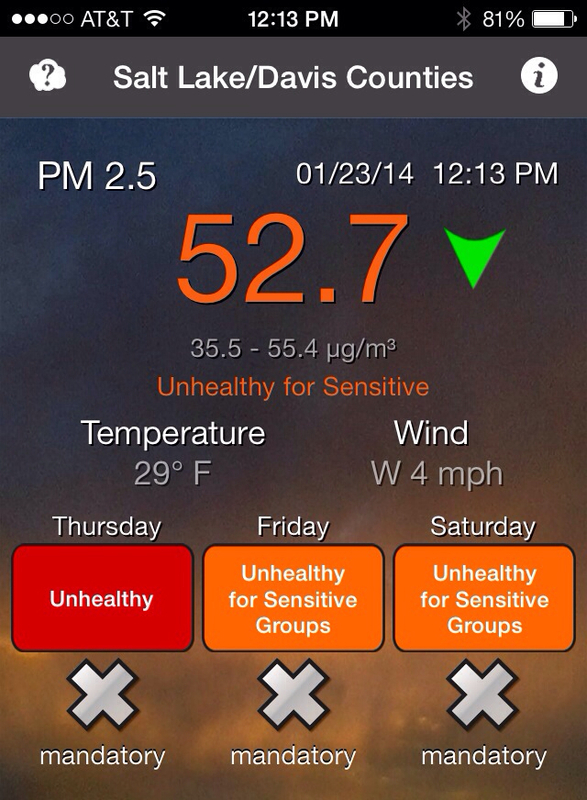 Currently... disgusted by the terrible air quality we are having in Salt Lake City this week. Not having lived here during a winter season for a few years, I'd forgotten how toxic the air can become in this valley (read why it happens here). Of course we can stay indoors on red air days but I'm certain that the terrible air is seeping through the tiniest cracks in our windows, making it impossible to avoid breathing that polluted crap. I am planning to visit the guys at Palm Paradise this afternoon to have them help us clean our indoor air by using air-filtering plants. And I will not be driving but taking the bus to their downtown shop. Currently... not looking forward to spending my morning tomorrow at the DMV to renew my license that expires a few days from now. And I am sad to finally be letting go of my Santa Monica past and my California driver's license! Currently... laughing at this YouTube video of Storm Troopers twerking in a downtown Salt Lake City alleyway. Currently... not doing so well on my new year's resolution to drink alcohol only three nights a week as I've had a beer each night since we've been home. But at least my imbibing has only been with one beer and not a short glass of High West whiskey on the rocks like I was having almost nightly during the holidays! Currently... excited that my Amazon order of Primal Fat Coconut Ghee arrived today. I can't wait to try it in my coffee tomorrow morning. So gross. 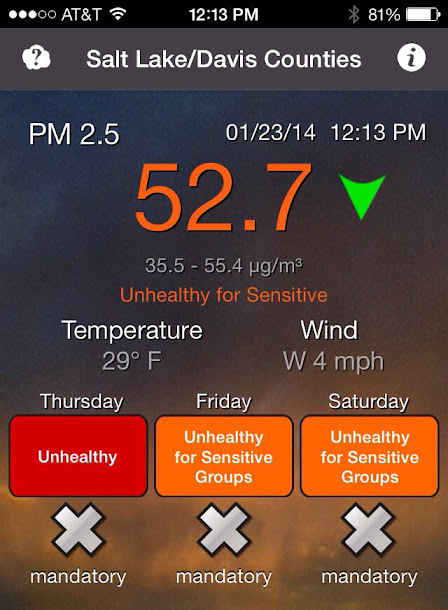 And so sad that SLC even requires an app for air quality reports.